Tag Archive | "hp envy x2 touchscreen"
A number of companies are now betting on hybrid computers to be the next big thing with Windows 8. We’ve seen the Duo 11 from Sony, the Samsung ATIV, Asus TaiChi and Transformer Book — all hybrids — and now HP is announcing the Envy X2 with Windows 8 and touchscreen. 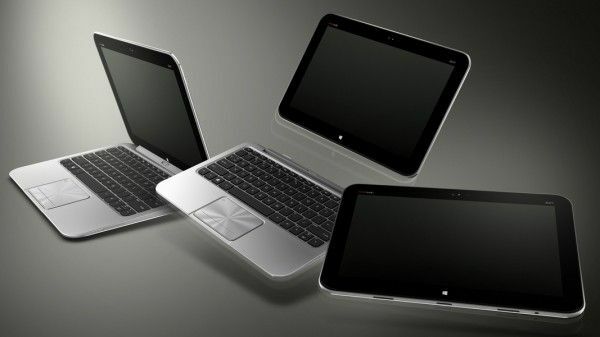 The X2 takes on the familiar ‘transformer’ form-factor which is outwardly a standard laptop form-factor but the screen can be detached and toted around as a tablet. The question remains whether Windows 8 will provide a sufficient touchscreen experience, or if all of these hybrid devices will be used as standard laptops more often than not.